It’s no easy task launching a new sports car company to compete with the established might of Ferrari, Aston Martin and Lamborghini. Harder still to do it during the worst worldwide recession in living memory, but if you were brave enough you’d probably choose to do it with a company just like McLaren Automotive. A lot of fledgling super car companies over the years have been built upon the foundations of ambition and dreams, McLaren Automotive are not that kind of car company. Constructed in uncluttered, surgically clean workspaces, within the incredibly modern Norman Foster designed McLaren Technology Centre in Woking, with the same discipline that delivered 12 Formula 1 drivers championships and 8 constructors championships. Oh and when a McLaren Engineer dreams, these days its in carbon fibre. Bruce McLaren was born in 1937 in Auckland, New Zealand. His parent’s ran a service station and workshop. This grounding in cars and engineering led to racing and by the time he was 14 he had entered a local hill climb in an Austin 7 Ulster, showing promise as a driver and an engineer. Fast forward to 1963, Bruce is now in Europe, the youngest driver to win a Grand Prix race and lead driver for the Cooper Grand Prix team. Like a lot of racing drivers at that time, when he wasn’t racing for Cooper, he competed (very successfully) in other racing formula, driving for Jaguar, Aston Martin and Ford in sports car racing (winning the Le Mans 24 hour race in 1966 behind the wheel of a Ford GT40). 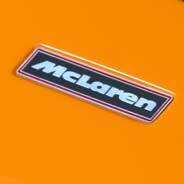 Winning wasn’t enough for the engineer within and harbouring an ambition to race a car bearing his own name, he founded Bruce McLaren Motor Racing to develop and race sports cars. In 1964 Bruce and his small team built the first true McLaren sports car – the M1A – which became a top contender in sports car racing both in Europe and America. The orders rolled in and 24 examples were built. Its successor, the M1B, was quicker still, carrying Bruce and his fast-emerging team to third place in the inaugural Can-Am championship. McLaren set out to capitalise on the team’s Can-Am success by building a racing car for the road. A road car that could be modified easily to compete in the 1969 Group 4 sports car category and compete with Ferrari, Porsche and Alfa Romeo. 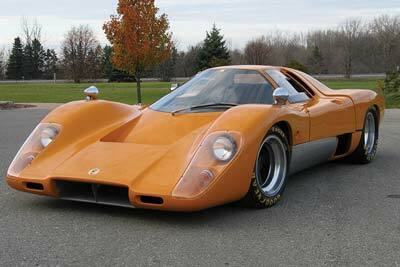 The result was the McLaren M6 GT. Developed at the Colnbrook factory near London during 1968/9. Based on the chassis from the dominant 1967 McLaren M6, the engine a 5.7 litre Ford V8, that produced around 370bhp. McLaren M6GT – photo © Copyright McLaren Automotive Limited. The M6 GT prototype weighed in at a mere 725 kg and with a top speed of over 165mph and a 0-100mph time of 8 seconds, this was no civilized supercar but a bona-fide racing car for the road. Sadly, the project was terminated after Bruce’s tragic death at Goodwood in June 1970 and after the homologation rules shifted to require at least 50 road cars to be built. However, two M6 GT road cars were built by Trojan, McLaren’s partner in the M6 GT project. It would be nearly 20 years until the McLaren name appeared on the nose of another road car but when it did, it would be one of the most spectacular cars of all time. In the 45 years since their founder’s death, McLaren have become one of the most successful Motorsport companies of all time. Winning 12 Formula 1 drivers world championships and eight constructors championships, five Can-Am titles (and 43 race wins), three Indy 500 victories and the Le Mans 24 Hour Race. 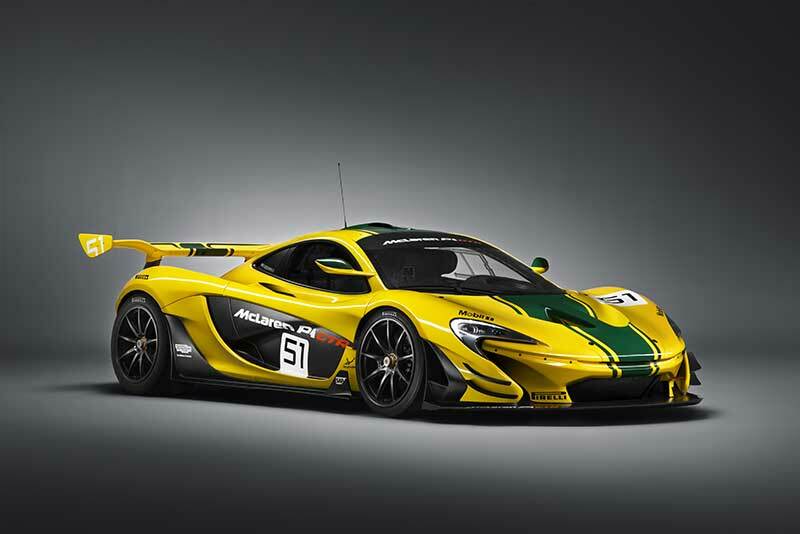 McLaren Automotive are based in Woking, UK and currently manufacture the P1, 650S Spider and coupe, 675LT as well as a number of track models P1 GTR, 650S GT3, 650S Sprint.